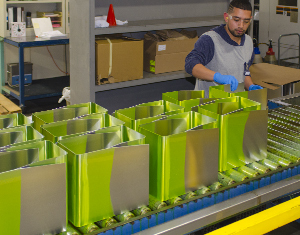 DYE PENETRANT INSPECTION, RADIOLOGY (X-RAY), ROCKWELL TESTING, EDDY CURRENT TESTING AND PRESSURE-TESTING BATHS. 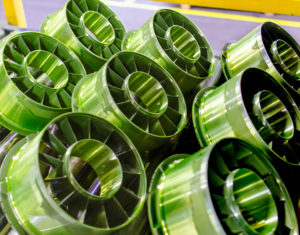 ACE has Non-destructive Testing in-house, providing Nadcap-accredited processes which guarantee every part is made right with the right materials. 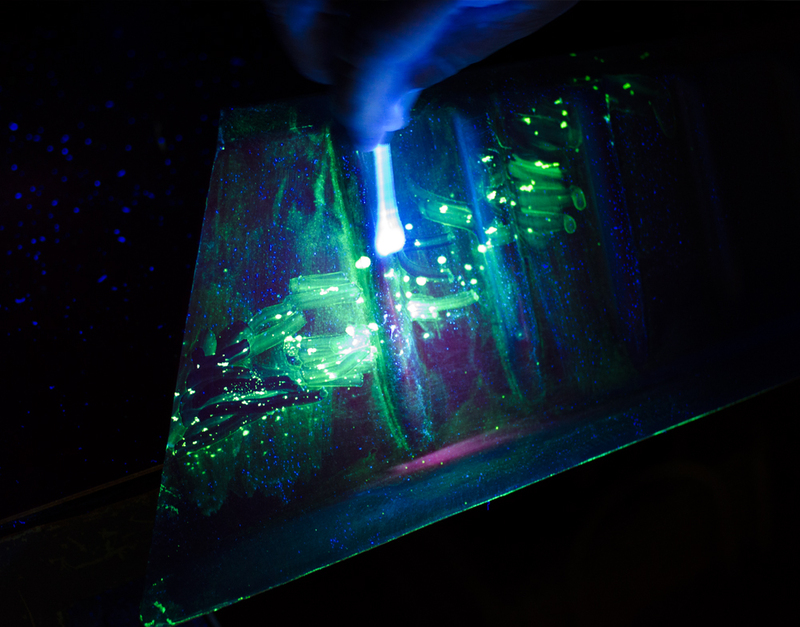 Inspection with Penetrant Dye glows under ultra-violet light – clearly indicating any cracks or faults with welds and surfaces. X-Ray (radiography) provides even closer examination of weld and joint integrity. Non-destructive Testing with the Rockwell scale is a hardness measurement based on the indentation resistance of a metal. The Rockwell test determines the hardness by measuring the depth of penetration made by a sensor point (an “indentor”)applying force, or pressure. There are different scales, denoted by a single letter, that use different loads or indenters. The result is a dimensionless number noted as HRA, HRB, HRC, etc., where the last letter is the respective Rockwell scale. When testing metals, indentation hardness also correlates with tensile strength. 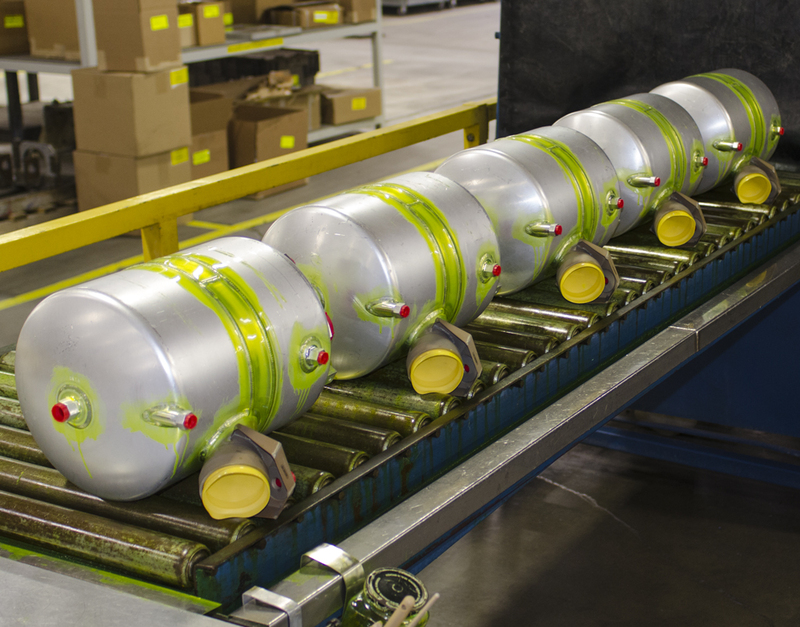 This provides important nondestructive testing of metal deliveries to insure manufacturing with these materials meets aerospace material characteristic requirements, strength specifications and verification. The determination of the Rockwell hardness of a material involves the application of a minor load followed by a major load. The minor load establishes a “zero” position – a baseline measurement. Then, a major load is applied, then removed while still maintaining the minor load. The depth of penetration from the zero point is measured from a dial, on which a harder material would give a higher number. The depth of the penetration and material’s hardness are inversely proportional (the deeper the indentation, the softer the metal). 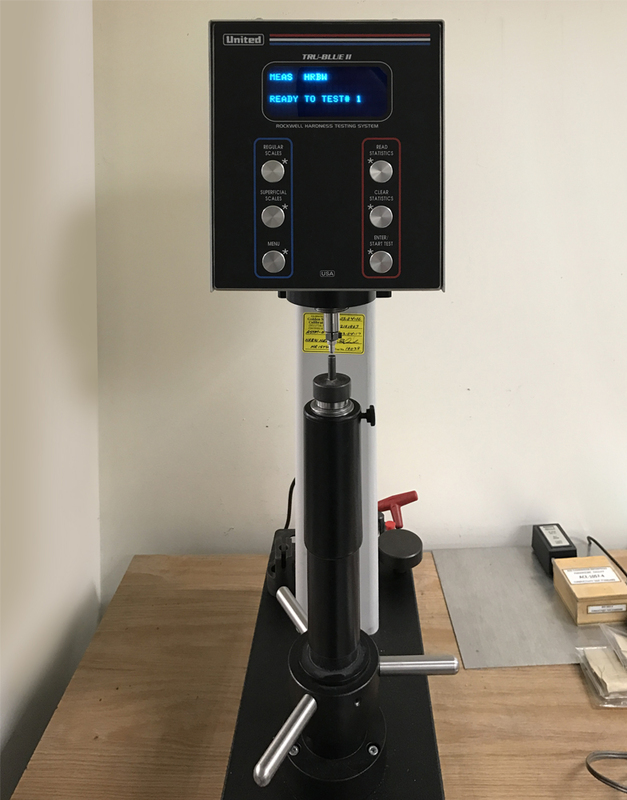 The chief advantage of Rockwell hardness is its ability to display hardness values directly, without overly complicated calculations required by other hardness measurement techniques. 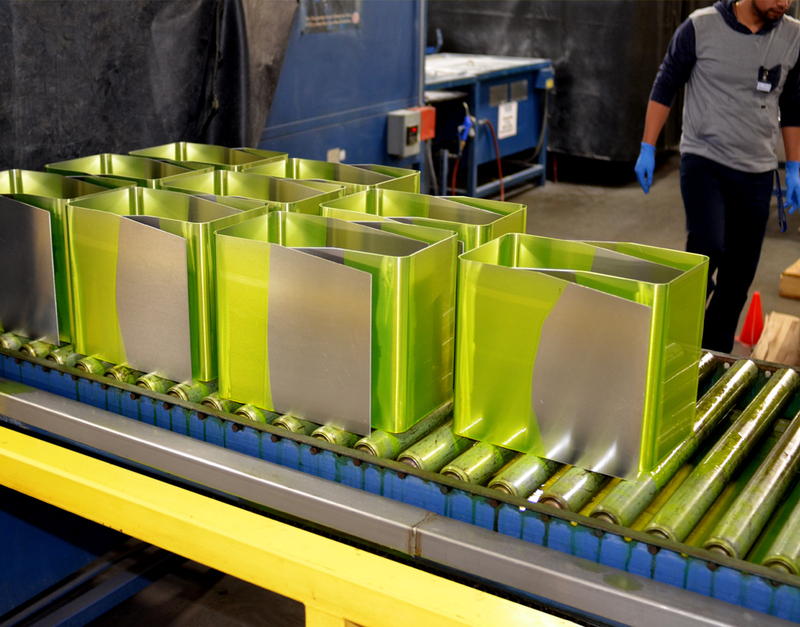 Non-destructive Testing with Eddy Current measures the conductivity of aluminum alloys. It also automatically tracks the temperature coefficient. The test works well on rough or finished surfaces, including forgings, castings, sheet stock, and small parts of reasonable mass. Production line conductivity instruments and systems provide rapid automatic sorting and process control quality requirements. 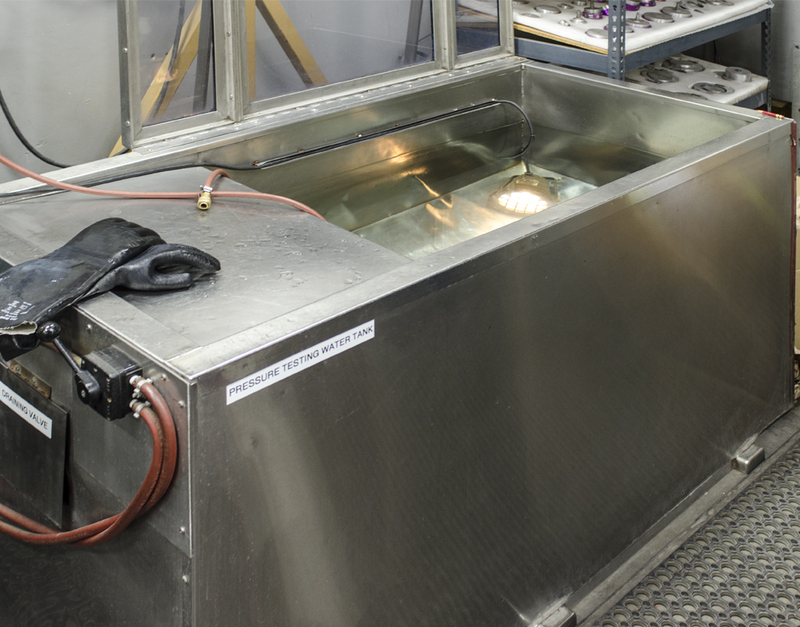 And Large Pressure-Testing Baths enable our inspectors to test the seals and welds on tanks and vessels. Various weld types are checked. 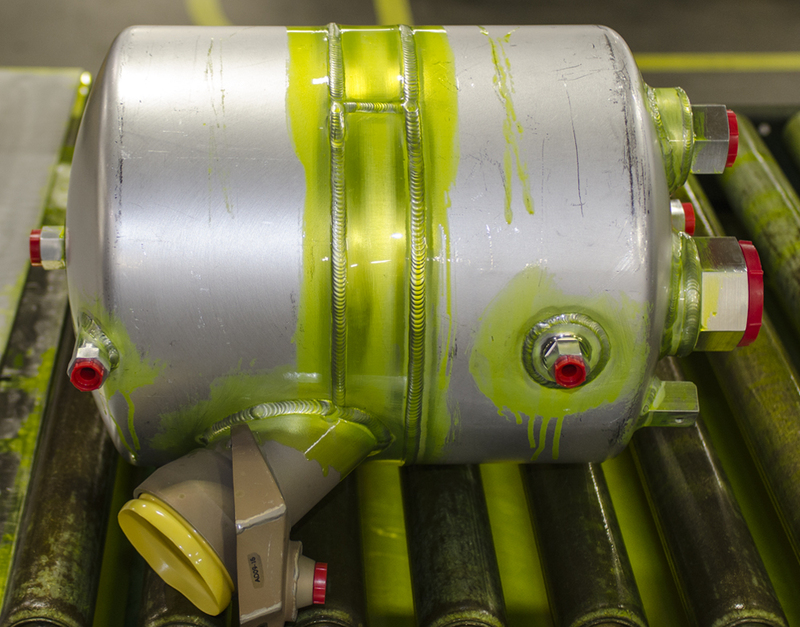 Once the florescent dye verifies parts are good, it is simply washed off. 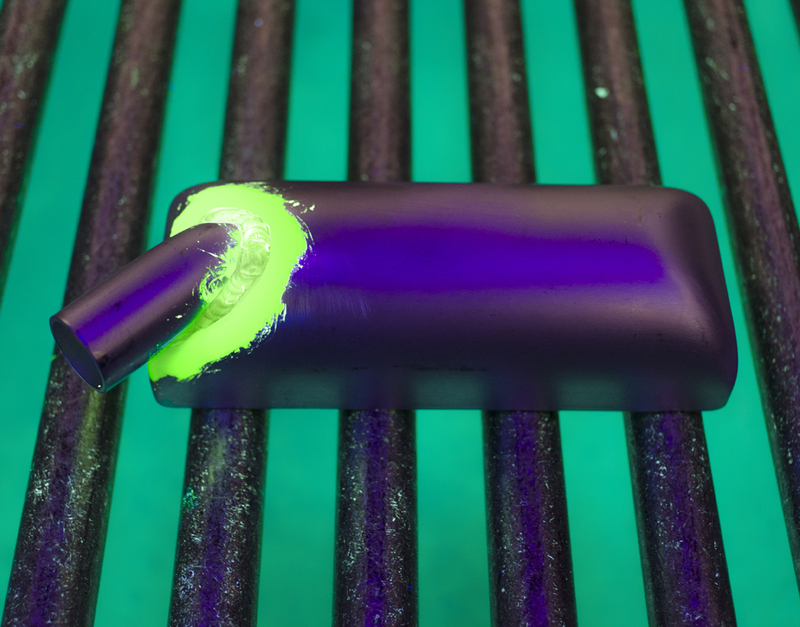 Under ultra-violet light, imperfections are clearly revealed. ...to make the weld or joint light-up! This device tests indentation to verify metal strength meets strict requirements. 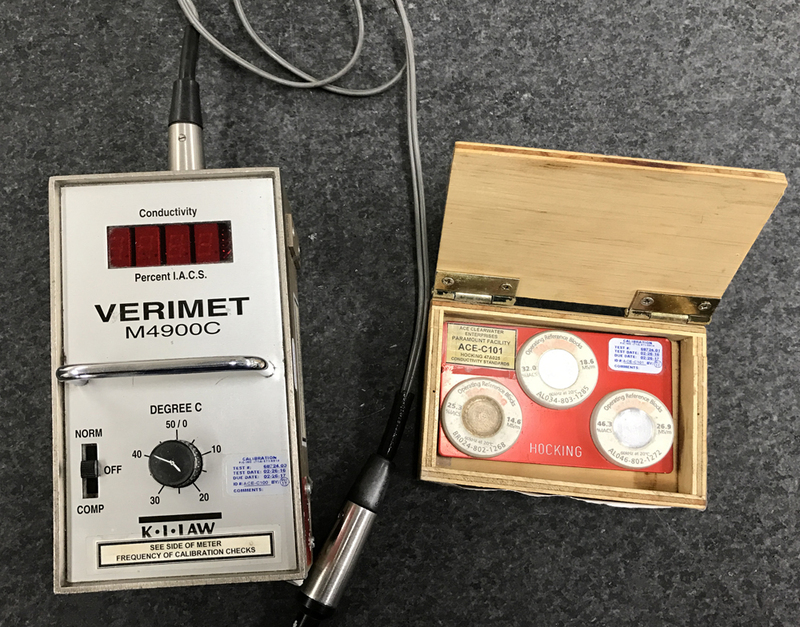 This calibrated device accurately measures conductivity of a metal, verifying its purity. These deep baths accommodate large oil tanks which are sealed and filled with air. 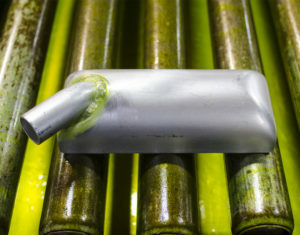 The operation immediately shows leaks, if any exist. Complex parts demand a bath to verify each is perfect. …but once the part and dye are exposed to ultra-violet light, remarkable detail is revealed and can be examined.